On December 21, 2012, we will be celebrating Earth’s entrance into the Golden Age and for the first time in history will sign the Declaration of Consciousness in London at the Odeon West End in Leicester Square. This document will, once and for all, declare a new global shift in consciousness and finally secure the inalienable rights of all living beings. Be part of history in the making by signing the Declaration of Consciousness along with its founders. Those who attend the event will have the opportunity to physically sign the document, which will be on display. This will be the only opportunity to sign the original document before it is presented to leaders all over the world. I look forward seeing you all there. Dear Friends,Thank you for your interest in our Gala Event that will take place on December 21, 2012 in London, featuring the European Premiere of the groundbreaking metaphysical film 3 MAGIC WORDS, to mark the beginning of a new era in human consciousness. As many of you know, not only will the winter solstice occur on December 21, 2012, but this sacred date also marks the ending of the ancient Mayan calendar. We believe this day will mark the beginning of a new future for mankind so we’re hosting a celebration and you’re invited!The Gala Event at the Odeon West End in Leicester Square will feature a “blue carpet” with celebrity appearances, live performances by Lucinda Drayton (“A Hundred Thousand Angels”), a special screening of 3 MAGIC WORDS followed by a panel discussion with myself, filmmaker Michael Perlin, coproducer Maura Hoffman, Theresa Ibis (Founder of Indigo Bridge In Service/IBIS) and Siddhar Yogi and musician Nandhi. The evening will also include a Global Meditation led by Sonya Sophia (Sophia School Of Living Arts), a World Peace Prayer conducted by Gudni Gudnason (Modern Mystery School), and the official signature of the Declaration of Consciousness. Together we will invoke spirit to usher in a new age of enlightenment.A limited number of tickets are available for an exclusive VIP after party in the luxurious penthouse of the Radisson Blu Edwardian Hampshire Hotel, where revelers will savor delicious canapés and drinks while enjoying live musical performances and dancing to the spiritual sounds of DJ Nandhi as we celebrate the dawning of Earth’s Golden Age. We hope you will join us for this momentous event on December 21, 2012. 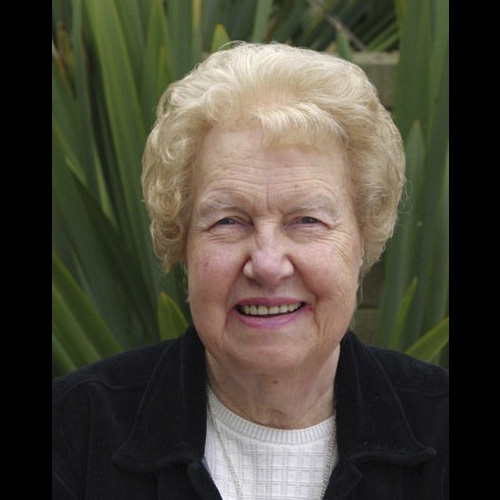 Dolores Cannon is a past-life regressionist and hypnotherapist who specializes in the recovery and cataloging of “Lost Knowledge”. Her roots in hypnosis go back to the 1960s. She has been specializing in past-life therapy since 1979.Dolores has become, perhaps, the world’s most unlikely expert on the prophecies of Nostradamus. A retired Navy wife from Huntsville, AR, USA, Dolores was nearly fifty years old when she began experimenting with hypnosis and past-life regression. The results were, to say the least, quite spectacular!Working through several different subjects, Dolores was able to establish communication with the living Michel De Notredame, better known as the prophet, Nostradamus. His revelations and their impact on our own time are both fascinating and at times frightening. In addition to the three volumes of “Converstations With Nostradamus”, Dolores has completed:”The Legend of Starcrash”, “Keepers of the Garden”, “Legacy from the Stars”, “A Soul Remembers Hiroshima”, “They Walked With Jesus”, “Jesus and the Essenes” and “Between Death and Life”. “The Custodians”, discusses in detail information regarding distorted time, screen memories, reasons for abductions, implants and much, much more…. Her most popular series, “The Convoluted Universe,”, goes further into complex metaphysical theories and covers “mind-bending” concepts. Book four in the Convoluted Universe Series will be available in December 2011.